Who do your sympathies rest with in the legal brouhaha swirling around ailing media tycoon Sumner Redstone? Are you inclined to believe that the frail 92-year-old billionaire's ex-girlfriend, Manuela Herzer, is just a good soul looking out for her friend's welfare? Or are you the more cynical type (that's probably most of us) who think she's just after his considerable fortune? 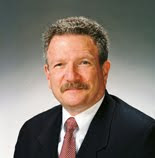 Redstone is the former chief executive of Viacom Inc. He met Herzer, then age 36, in 1999. Although she reportedly declined his marriage proposal, the two remained on-again, off-again lovers and companions over the years, during which time she received gifts and cash from him totaling in the millions. She was living in his Beverly Hills home last fall, and in September 2015, he named her as his health care decision-maker. Redstone also provided generously for Herzer in his estate plan: She was to get $70 million, along with his Beverly Hills estate, when he passed away. Redstone's largesse came to an abrupt end the morning of October 12, 2015, when Herzer was ejected from his home. Then, on October 16, he replaced her as his health care proxy with his daughter, Shari. He also cut Herzer out of his estate plan. Herzer quickly filed a lawsuit requesting to be reinstated as his health care proxy. She alleged that while Redstone was competent to name her as his agent in September, his rapidly declining health left him without the capacity to know what he was doing when, just one month later, he removed her from the position. She accused his nurses and other employees of colluding with Shari, unduly influencing Redstone, and turning him against her. Redstone's lawyers counter-argued that their client is competent and was financially exploited by Herzer. They point to $265,000 she charged on his credit card between August and October of 2015, as well as an additional $40,000 she requested to be delivered to her at his home, where she had him sign for it. 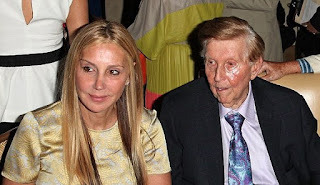 Herzer's attorney Pierce O'Donnell had predicted that the upcoming trial would "...expose the tragic inconvenient truth that Sumner Redstone needs the court's protection from those who have lied to and exploited him in his debilitated condition." But O'Donnell's predictions did not pan out. The trial that pundits thought would last several days came to an abrupt halt May 9, just a few days after Redstone, several nurses, a geriatric psychiatrist and others gave depositions in the case. One geriatric psychiatrist reported that Redstone suffers from significant memory problems and delusions. One of his nurses reported secretly giving Shari information about the relationship between Redstone and Herzer. Redstone, who needs a feeding tube, has significant speech difficulties and requires round-the-clock care, had his 18-minute deposition taped at his home. He had difficulty answering some basic questions - for example, he did not remember his birth name, Sumner Murray Rothstein. Despite all this, on the Herzer issue Redstone was very clear: "I want her out of my life," he said, indicating he wanted to be cared for by his daughter Shari. Of course, the judge's ruling hasn't put an end to the saga. Herzer has already filed another lawsuit claiming that Shari Redstone and her father's nurses owe her more than $100 million, the expected inheritance she has lost as a result of their alleged conspiracy against her and their unduly influencing Redstone. You can read the legal filing here. The uncertainty surrounding Redstone's status has also shaken things up at Viacom and depressed its stock value. The world's sixth-largest media company that includes Paramount Pictures and various television cable channels, Viacom is still largely controlled by Redstone and his family. Sharon Waxman of the LA Times writes that the succession plans for Viacom are "a mess," and Redstone "...could not see beyond his own tenure. Redstone was famous for declaring he intended never to die." Few of us are Sumner Redstones, but if we're lucky, all of us will grow old. Unfortunately, statistics show a significant number of the lucky ones will also become cognitively incapacitated with age. While no estate plan is absolutely bullet-proof, there is much you can do to protect yourself, your family, your finances and your business from financial predators and chaos should incapacity strike. A Durable Power of Attorney and a Health Care Power of Attorney are essential building blocks of such a plan. You could also set up a living trust, naming an adult child or other trusted individual as co-trustee - not successor trustee - so that if you become incapacitated, the co-trustee can take over right away, with the ability to act independently if need be. Another possibility is naming a pre-need guardian. This allows you to name, in advance, someone you have faith in to manage your affairs should it ever be necessary. The courts are not obliged to name that person as your guardian, but ordinarily do so unless the person is unsuitable to serve. Get in touch with your certified elder law/estate planning attorney for assistance in setting up these important plans.